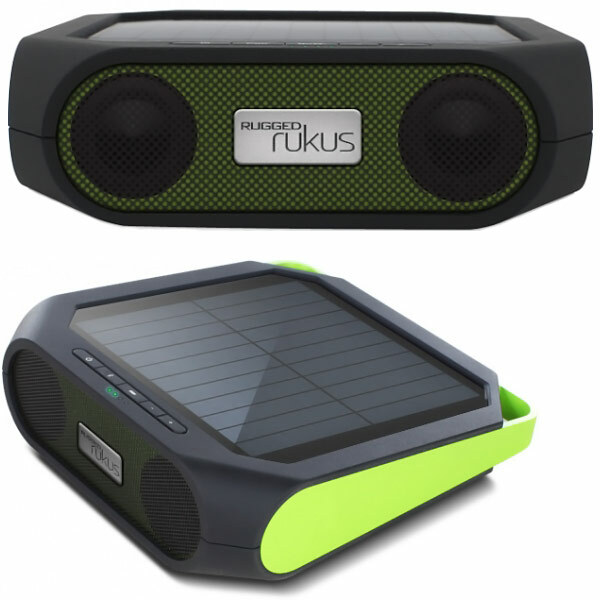 Etón just upgraded the Rukus Bluetooth Solar Wireless Speaker to a rugged version that it now calls the Etón Rugged Rukus. 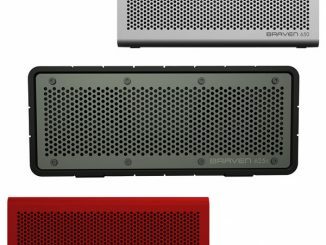 The Rugged Rukus sports a splash-proof outer housing, allowing you to take it almost anywhere without worrying about it getting damaged. 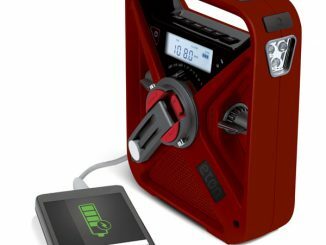 The Rugged Rukus also comes with a pair of full range speakers and a large solar panel that not only charges the Rukus Speaker system, but it also allows you to charge other electronic devices via the USB port. 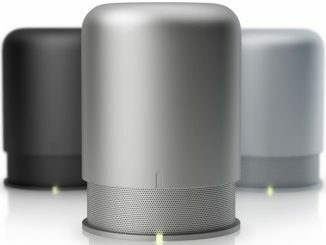 This portable Bluetooth speaker ensures that you never have to be without your favorite tunes. 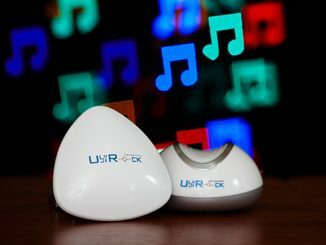 Connect wirelessly to any Bluetooth enabled device and start blasting your favorite tunes in stereo sound. 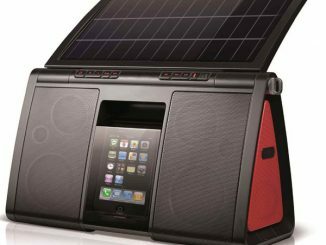 Our super-efficient solar panel powers both the music…and the fun. 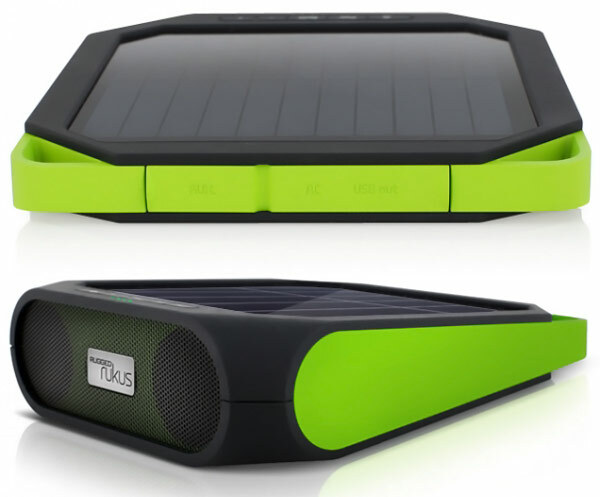 Rugged rukus’ incredible solar panel generates massive amounts of power to play your music all day long. 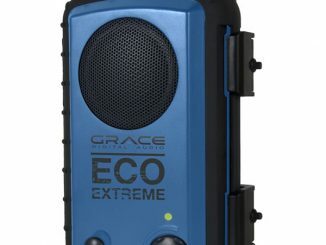 When it gets dark, the internal lithium battery will keep the music going for 8 hours. 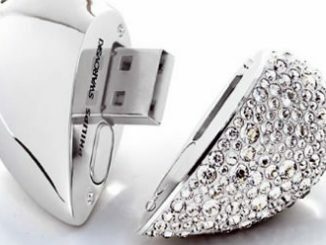 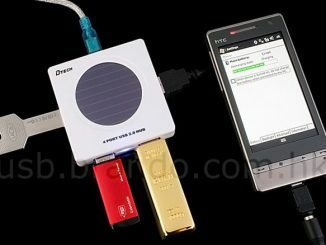 Or you can use the micro USB cable with your smartphone charger for non-stop entertainment. 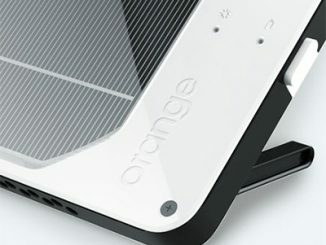 Way to charge: Thanks to the USB port on the Rugged rukus, you can charge your favorite mobile device while you listen. 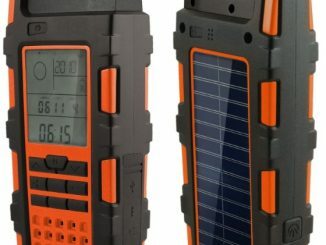 The Rugged rukus has an IPX-4 splashproof rating2, so it’s ideal for taking camping, to the river or the pool. 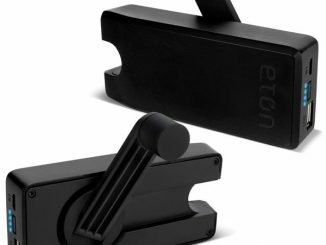 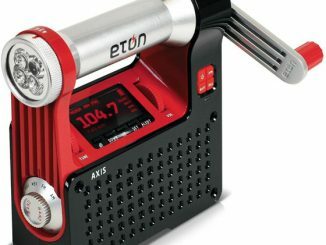 You can learn more at Etoncorp.com and look for the Etón Rugged Rukus to be available soon at retailers like Amazon.com for under $100.